While most child care centers operate during traditional working hours, a lot of childcare needs arise in the evening and after hours too. For many of us, life doesn’t run on a 9 to 5 schedule anymore. Our increasingly 24 hours a day economy requires workers to put in odd hours and overtime. You may work the night shift or have a shift that runs over the strict 5pm workday cutoff. If you work in the service industry, your hours can vary from season to season, month to month and even day to day. And you need childcare that can accommodate your modern, busy lifestyle. Let’s take a look at how after hours child care can help you and your family balance your busy life and work needs with you quality after hours child care. After hours child care is designed to help parents care for their children at all hours of the day. Some after hour child care centers offer 24 hour daycare. Others offer extended hours childcare that last long into the night and morning. But the most crucial times for many parents are the hours after normal workday hours, typically around 5pm to midnight. Evening child care is great for parents who have jobs that require them to stay late or work shifts that are non-traditional. A quality evening child care provider will provide the children activities, snack and meals to get them settled into the nighttime hours. On the opposite end of the clock, some workdays begin in the wee hours of the morning. If you have to leave for work at an early time, it can be difficult to find someone to watch your child, especially if it is before 6am. That’s where early morning child care comes in. Early child care allows you to get to work on time and ensure that your child is well cared for. A quality early morning child care provider will ensure that your child is rested, nourished and ready for the school day or other activities. Before and after school care is a type of extended hours child care for school age children. A before and after school program offers activities, meals and fun for older children. 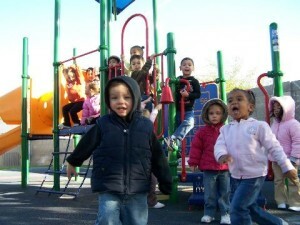 A quality child care center will also provide transportation to and from school for before and after school programs. Watch Me Grow in North Las Vegas offers quality, education focused before and after school programs to the children of the North Las Vegas area. Watch Me Grow in North Las Vegas provides a Before and After School Program for children in kindergarten through 6th grade on a traditional school schedule.